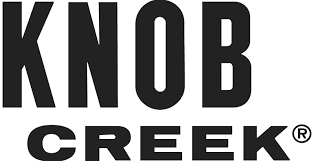 Knob Creek was named Best Bourbon at the 2015 San Francisco World Spirits Competition. 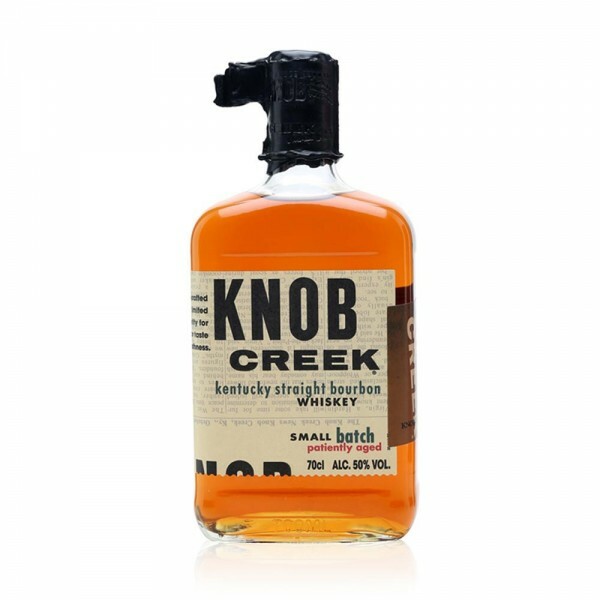 Knob Creek Bourbon is small-batch produced and aged for longer than most Kentucky bourbons. 'Straight Bourbon' must be aged at least 2 years and doesn't have anything added and the age stated on its label must be the age of the youngest whiskey in the bottle. Knob Creek sits there ageing for at least 9 years. Knob Creek uses American white oak barrels which are charred over an open fire for a 'level 4 char'... the deepest char possible. It's this intense charring and longer ageing that brings out Knob Creeks' big, bold flavour. The temperature in the rackhouse cycles with the seasons, which allows the bourbon to breathe in and out of the charred barrel. Each natural cycle in and out of the wood adds the rich amber color and the distinctive flavors that go into each small batch. Knob Creek is named after the small stream that flows through President Abraham Lincoln's childhood home in Kentucky. Lincoln's genuine Kentucky character and unwavering stance was the perfect representation of the values Knob Creek stands for... Honest Bourbon. Knob Creek's distinctive, squat, apothecary-like bottle was fashioned upon the turn-of-the century bourbon bottle sold throughout Kentucky. The label is inspired by the decades-old custom of wrapping finished bottles in newspaper at the distillery.